All in all, the 2016 edition of the Honda CR-V is not only as reliable and convenient as its predecessors, it now features more technology and safety equipment than ever before. 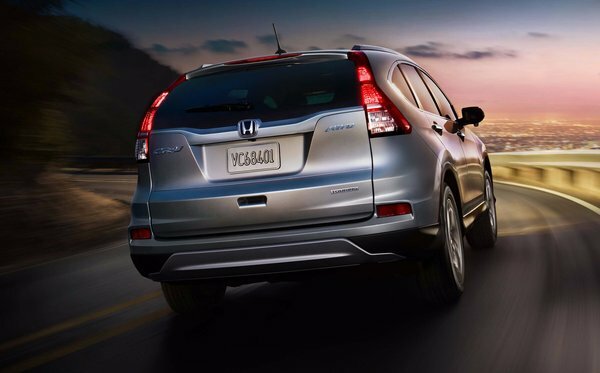 The Honda CR-V has always been an all-around best choice in the SUV market. For 2016, the CR-V is packed with loads of features, technology and, of course, signature style elements. This superb SUV is available in five well equipped variants, the LX (starting at $26,190), the SE (starting at $30,190), the EX (starting at $32,190 ), the EX-L (starting at $34,190) and the TOURING (starting at $36,900 ). The 2016 Honda CR-V is powered by an efficient yet powerful 2.4 liter 16-valve, 4-cyl engine. This powerplant is equipped with Honda’s proprietary i-VTEC technology for maximum power and torque at every RPM range. The output is impressive: 185 hp and 181 lb-ft of torque. The engine is also equipped with the Eco Assist system, offered as standard equipment on every variant of the 2016 CR-V. The power is channeled to the wheels by a continuously variable transmission (CVT), also standard on all variants. The LX version is front wheel drive and available with Real Time AWD with Intelligent Control System. All the other variants are delivered standard with the Real Time AWD System. On the outside, the CR-V is stylish and all versions are equipped with heated power door mirrors including expanded view driver's mirror. The LX, SE, EX, and EX-L are equipped with multi-reflector halogen headlights whereas the superior TOURING variant comes with beautiful projector-beam halogen headlights. This particular variant also features power tailgate, rain-sensing windshield wipers and very convenient roof rails. The EX, EX-L and TOURING variants also feature a one-touch power moonroof with tilt feature, which is great standard equipment for long drives on sunny days. On the inside, stylish and practical elements are in perfect harmony. The LX and SE feature standard air conditioning with air-filtration system, while the other variants are equipped with a dual-zone automatic climate control with air-filtration system. All variants feature great technological elements such asHandsFreeLink wireless mobile phone interface, immobilizer theft-deterrent system, intelligent multi-information display (i-MID) and the Maintenance Minder system. Moreover, all versions of the 2016 Honda CR-V have steering wheel-mounted controls (cruise control, audio, telephone and multi-information display). The 2016 CR-V offers impressive cargo space, with 1054 L when the rear seats are up, and a whopping 2007 L when the seats are down. All in all, the 2016 edition of the Honda CR-V is not only as reliable and convenient as its predecessors, it now features more technology and safety equipment than ever before. 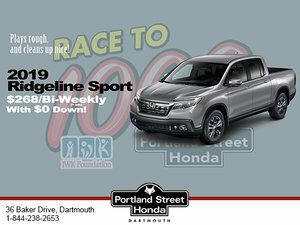 Come by Portland Street Honda and see everything the 2016 Honda CR-V has to offer.